The idea for the Goudhurst war memorial was first discussed in early 1919, the money for it to be raised by public subscription. A plan for a memorial to take the form of new gates and entrance to the church at the top of the High Street was put on display in 1923 for comments from the parishioners who must have discounted them. 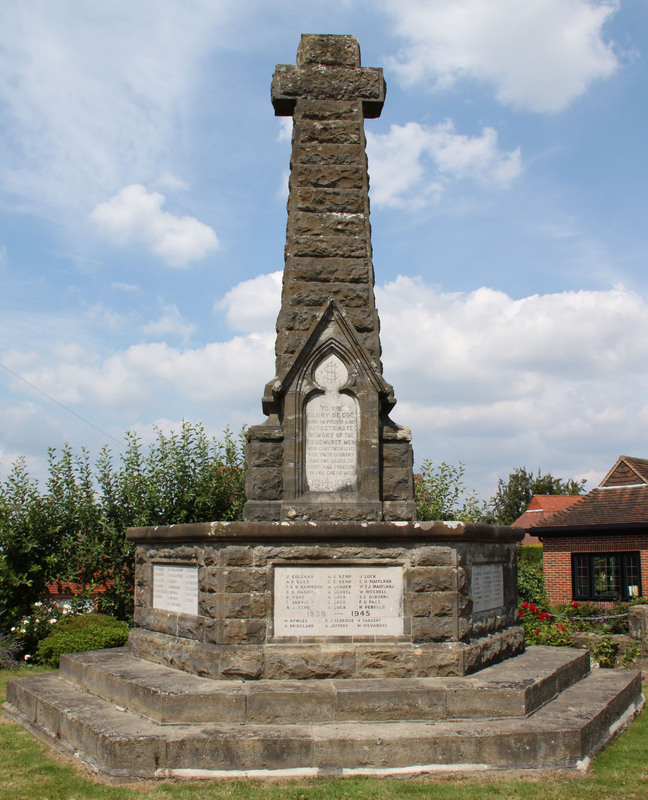 Another idea was for a memorial to be sited between the village pond and the parish hall. 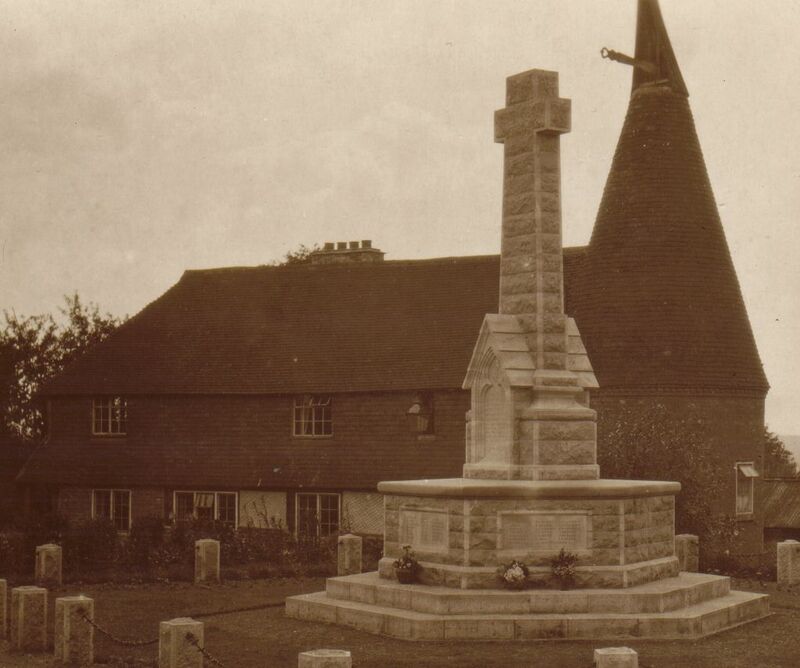 However, Sir Charles Jessel purchased a quaint little cottage known as ‘Paines Folly’ as the site for the memorial whose plans had been drawn up by Goudhurst architect H. J. Benians and been approved by the villagers. The cottage was demolished and the memorial built by the village firm of Davis & Leaney using Kentish rag stone. 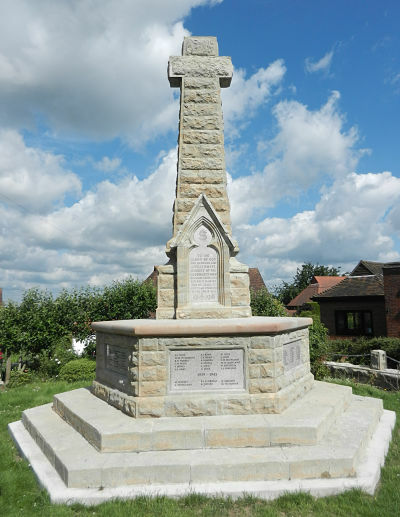 The panels of Portland stone containing the names were prepared by the masons of Henry Cole of Boughton Monchelsea. 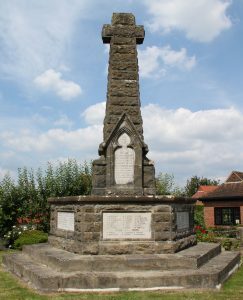 Colonel Burns of the 4th Buffs unveiled the memorial at a ceremony attended by a large number of parishioners on the 30th November 1924. 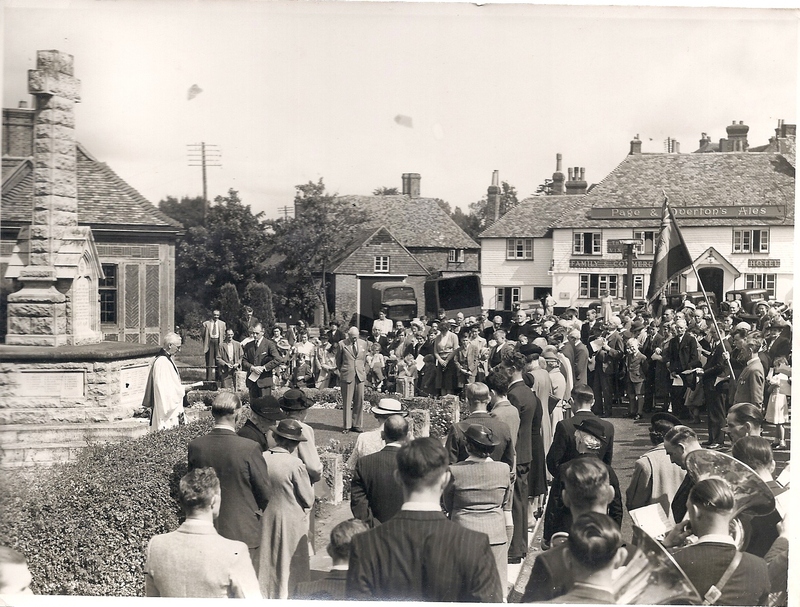 On 22nd August 1948 a tablet bearing the names of the five men and one woman who died during the Second World War was unveiled by Viscount Allenby. 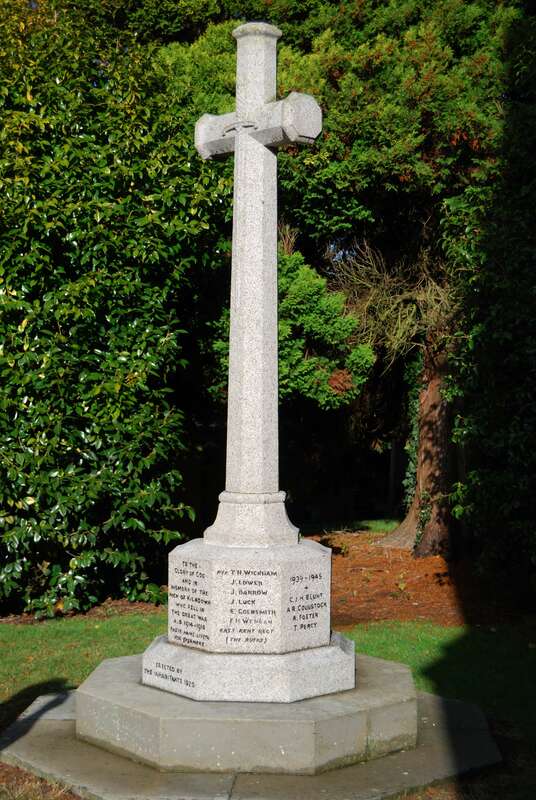 In 2013 a project to raise funds for restoration of the memorial in time for the centenary of the start of the Great War was instigated and managed by a committee of Goudhurst Parish Council. The restoration, by Messrs. Cleverley & Spencer of Dover and Ashford, involved cleaning and repairs of the stonework of the memorial, which was suffering the effects of long-term weathering and pollution; also, the three name panels were replaced, enabling a small number of errors to be corrected. The refurbishment was completed well before the official ceremony on 4th August 2014.